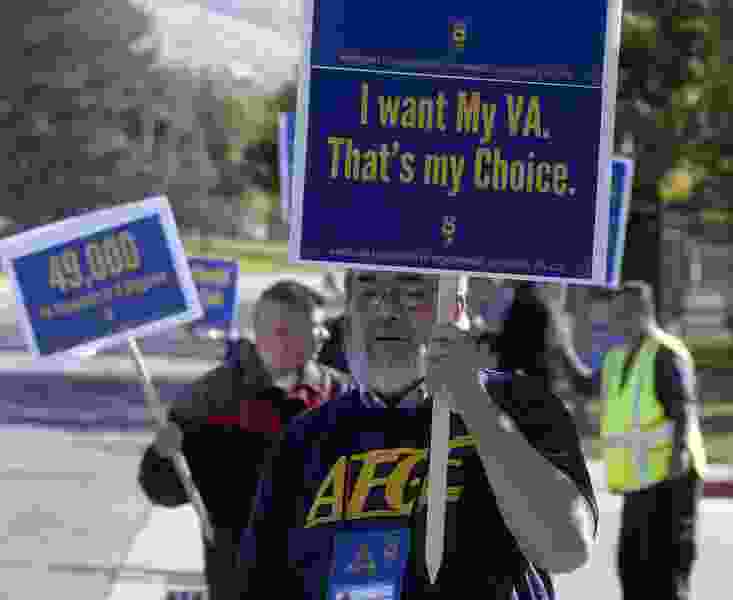 (Al Hartmann | The Salt Lake Tribune) Charles Talcott, who works in therapy at the VA, joins other members of the American Federation of Government Employees and veterans at a rally at George E. Wahlen VA Medical Center in Salt Lake City, Monday Oct. 16, 2017, to highlight dangerously low staffing levels at the facility. Back in May, a tweet with pictures of a messy casting room at the Salt Lake City Veterans Administration Hospital went viral. The room was a mess, and that was the story. It was a dirty room where, earlier in the day, eight casts had been put on veterans. Another patient was assigned to the room before it had been thoroughly cleaned and had to wait 45 minutes for care. This resulted in the rant on Twitter. The gist of the tweet was the VA Hospital is a terrible place for our veterans. At the same time, in a different area of the hospital, another veteran was having the opposite experience. He wants his story to be told as well. This vet was very grateful and impressed with the level of care he was receiving from the Salt Lake City VA. He went on to tell his story, emphasizing that the care and respect he received were “second to none.” He was disappointed in the negative news that was widely broadcast during his time in the hospital. Larry spent many weeks in surgical ICU after a vascular bypass surgery. While recovering from surgery, he had a heart attack. It was the same day he had planned to drive with his daughter back to Montana. After this setback, Larry reported that any time a light or buzzer would go off, staff were extremely quick to attend to his needs. Staff from all departments and hierarchies were assuring all patients’ needs were being met. Larry’s daughter stayed with him for four weeks. During this time the staff was “amazing at making sure the family was in the loop” and took time to explain the diagnoses and plans of care. When his daughter returned home to Montana to be with her young family, the thorough communication continued. These regular check-ins were greatly appreciated, as the family was unable to be with their father/loved one during his time of need. In the absence of his own family, the staff at the VA hospital in Salt Lake City was a second family to Larry. Some of the highlights included having a “personal barber” and on multiple occasions volunteers bringing him a therapy companion. The favorite companion Larry was able to spend time with was a baby wallaby. Another highlight was being escorted outside to attend a motorcycle rally. And when Larry didn’t feel like eating, the staff would bring him his favorite treat, a strawberry milkshake. Those were the times that matter to Larry and to his family. 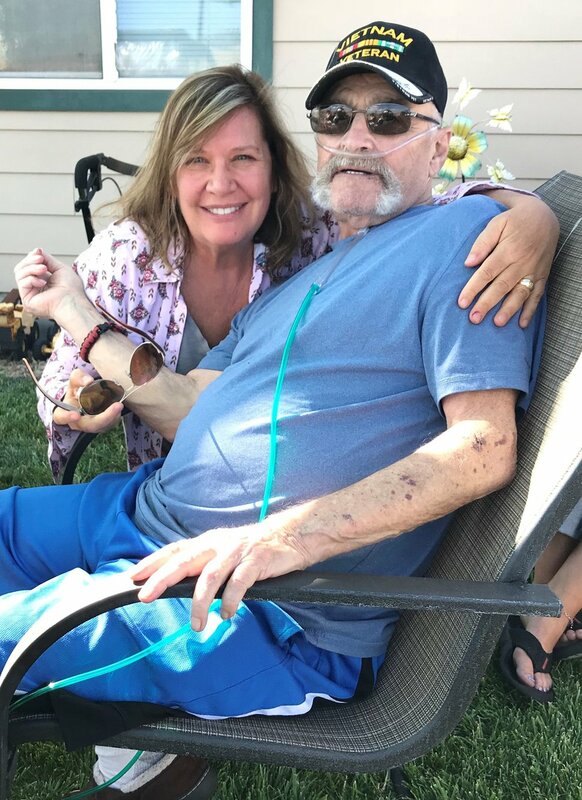 The VA staff that spent every day with him gave him the energy and spirits to become well enough to return home and spend the rest of his life with his family. To the SLC VA and staff, Larry and his family want to thank you from the bottom of our hearts. Your kindness and compassion have forever touched our lives and will never be forgotten. Larry went back home to Missoula, Mont., with his family, entered hospice care and died on Oct. 27. Larry served in combat in Vietnam 1968-69. Wilma Pyette is an energy consultant who lives in Houston.